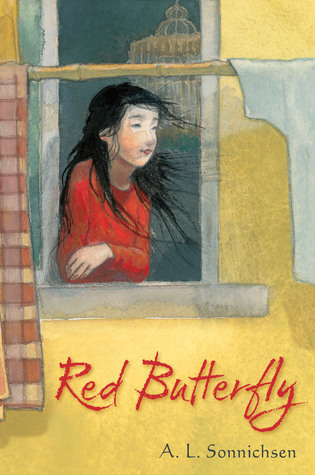 Red Butterfly – A Middle Grades Book | What is ML Reading? The black and white sketches throughout the book enhance this heartbreaking yet uplifting book. After reading this book, look closely at the cover. It will touch you in a way it didn’t when you first opened the book. This entry was posted in Middle Grade Fiction, Novel in Verse and tagged A. L. Sonnichsen, Amy June Bates, Red Butterfly by mlreads. Bookmark the permalink.